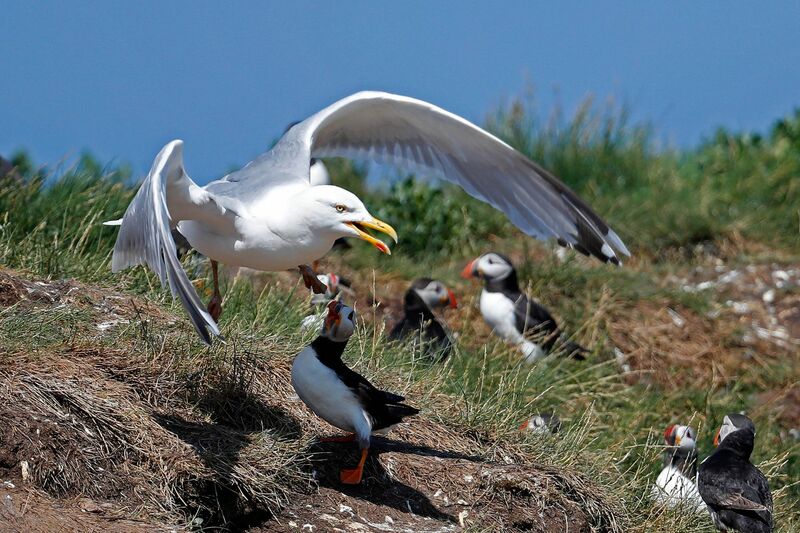 This battle had been going on all day - Gull versus Puffins. The puffins would come in with a beak full of fish and the gulls would just take it off them. You had to feel so sorry for the puffins ! !